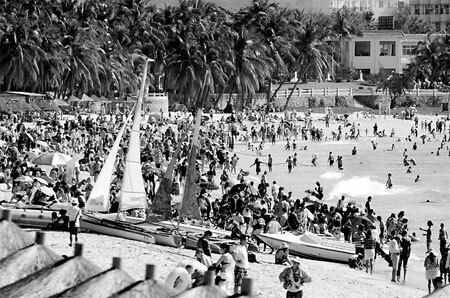 Sanya may be the country’s most popular resort during the coming Spring Festival, but the city’s infrastructure is not yet ready for the booming tourism. "Downtown Sanya is designed for 300,000 to 400,000 residents, but during the peak tourism season more than 1 million people will flood into the city," Wang Yong, mayor of Sanya in Hainan province, said on the sidelines of the provincial legislative body’s annual session on Monday. Authorities are speeding up construction, but because of the short annual construction period, it is not an easy job, he added. Due to the four-month typhoon season, the construction period in the tropical city is generally from December to September, and all construction is suspended during tourism seasons such as national holidays and in winter. 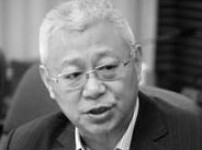 The lagging road construction is causing traffic jams and increasing the risks of accidents, especially during the peak traveling season, Wang said. Besides traffic jams, many tourists in Sanya complain about the difficulty of getting a taxi. According to the Sanya transport bureau, there are 1,234 taxis and another 100 will be arranged in Sanya Phoenix International Airport and other hot tourist spots like Yalong Bay to ease traffic pressure over the coming Spring Festival. But for Cao Qian, a 31-year-old traveler from Qingdao of Shandong province, the traffic isn’t a relief from the winter chill in Shandong. She arrived in Sanya on Saturday and will return home for work on Feb 15. "I just gave up getting a taxi because there were no empty taxis coming along for half an hour," Cao said, adding that staying in the hotel to enjoy the sunshine is a good option. While the traffic problem didn’t worry Zhang Chi, a 36-year-old Beijing resident taking his 6-year-old son and wife to Sanya, he said compared with the cold and smoggy days in Beijing, the blue sky and ocean is more attractive. According to Wang, more than 90 percent of the hotels in Sanya have been booked for the coming Spring Festival, posing a great challenge to the city. In order to fight price gouging for the coming Chinese New Year, he added, the local price supervision authority published prices of standard rooms in 267 hotels during the holiday with a price cap of 5,000 yuan ($760) for a night. According to the city’s 12th Five-Year Plan (2011-15), Sanya plans to invest more than 180 billion yuan in 243 important projects, mainly for tourism, real estate and infrastructure. Having received more than 11 million visitors in 2012, an increase of 10 percent over 2011, Sanya has become a preferred tourism destination with tourism revenue reaching 19 billion yuan last year, and the number of tourists is expected to grow by 8 percent in 2013.